Annapurna is a beautifully written love story about the long lost romance between soul mates, Ulysses and Emma. They explore how they have each changed and what has changed between them in their 20 years of separation. Will they be able to fix what was destroyed so long ago? Can the time apart be enough to face the depths of denial and forgive what is past? 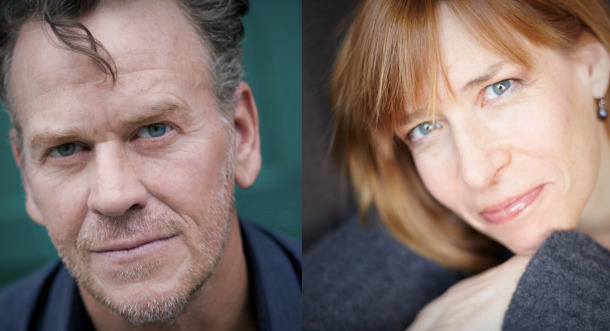 Founding Artistic Director, Joe Canuso will direct Philadelphia favorites Pearce Bunting (HBO’s Boardwalk Empire, Theatre Exile’s A Behanding in Spokane) and Catharine Slusar (Theatre Exile’s Iron, Any Given Monday) in the intimate Studio X. Founded in 1996 by Joe Canuso and Trish Kelly, Theatre Exile was created by a group of artists who wanted to rattle the gates of the mainstream. Drawn to plays that explore the complexities of the human condition and contain a sense of true Philadelphia grit and passion, Exile has produced 54 full-scale productions, including 14 world and 25 Philadelphia premieres. They were the first Philadelphia organization to produce such powerhouse playwrights as Pulitzer Prize and Tony winner Tracy Letts, Noah Haidle, Rona Munro, David Harrower, Annie Baker and Rajiv Joseph. For their excellence in producing theatre, they have received 49 Barrymore Award nominations, with six awards total. Theatre Exile believes in freedom of expression formulated through innovation, exploration and provocation, all while providing a safe and creative environment, in which local artists can grow, experiment and ultimately, find their own voice. PHILADELPHIA– Theatre Exile closes its 17th season with the Philadelphia premiere of Annapurna, a moving and explosive new play by critically acclaimed, emerging Broadway playwright Sharr White.